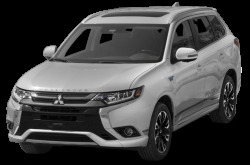 Mitsubishi continues to focus on its lineup of fuel-efficient, practical vehicles. Manual and continuously variable automatic transmission options are available for all models. 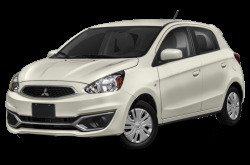 Mitsubishi’s entry-level vehicle is the subcompact Mirage hatchback. It offers 47 cubic feet of cargo room with the rear seat folded down. 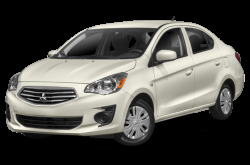 Fuel economy for the Mirage is an EPA-estimated 37/43 mpg city/highway. Making its debut last year, the Mirage G4 is the four-door sedan version that has many of the same options as regular Mirage. Mitsubishi also offers a few SUVs. 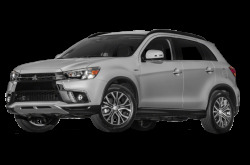 The Outlander Sport is a compact crossover for budget-conscious drivers. 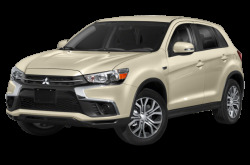 While the Outlander Sport does not have many available options as other vehicles in its class, it does offer some standard features like a 6.1-inch touchscreen, automatic climate control, and a leather-wrapped steering wheel that are usually only optional on other vehicles. 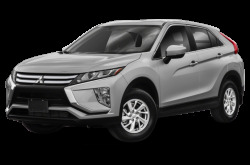 Making its debut last year, the Eclipse Cross compact SUV is powered by a 152-hp, turbocharged 1.5-liter four-cylinder mated to a continuously variable transmission and all-wheel drive. 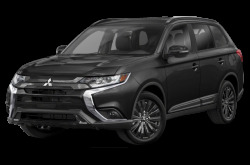 Moving up a size, the Outlander is a midsize SUV that seats up to seven passengers across three rows. It comes with a standard multimedia system that includes a 7-inch touchscreen and Apple CarPlay/Android Auto compatibility as well as plenty of active safety features. 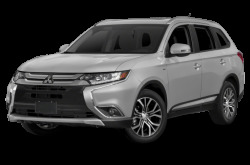 The Outlander PHEV hybrid version continues to be offered.